If you don't want to get upset and feel that it is cheaper then you buy a product from Aliexpress, read this article. First, I want to make an important reminder! If a product seems to be overly cheap compared to similar ones, this can be a deception. Nobody sells the same product at a much cheaper price. In case the product price is more than 5-10% discount compared to the similar ones, either the product quality is significantly poor or you are about to receive a defective or half working product. Keep that in mind. Let me tell you one of the simplest method of saving. Before buying a product, do as follows. Take the product to your shopping cart. 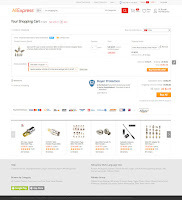 Similar products and prices will appear in the image immediately appearing on the same page. Check the cheap ones. So you can buy a cheaper product. But watch out again! Products that look cheap can be shown in a price range. In this case, you should choose the product similar to your product and see the price clearly. If your new product is cheaper than the previous product, you can buy it. Another issue to be considered is whether the product has shipping costs. Sometimes sellers may display separately the cost of the delivery, which is normally included in the product price. In this case, the shipping cost shown separately from the product price is added to your product price. If you accidentally close this page, click the shopping cart, and if you go to the bottom of the page before you finish your shopping, you can still find products that are similar to the product you are about to purchase. I recommend that you carefully review the products you found! Instead of the product you are about to buy, you can purchase a product that has a different feature than the other one. Complete your shopping without hustle. There is an alternative method of shopping from Aliexpress. If you're using the Chrome browser, you can download and install a helper extension. During my experiments, I chose the one that I liked the most and the smoothest among Chrome browser extensions. This extension: AliExpress with AliUp. 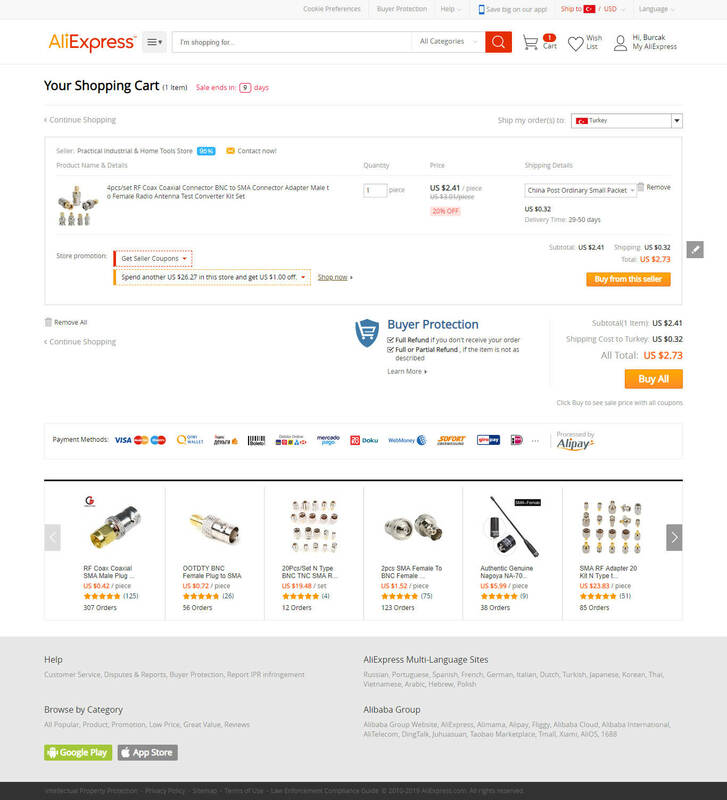 AliExpress with AliUp The Chrome extension works fine. You start and use it immediately. When you go to the Aliexpress website, a light blue section appears in the lower left corner of your computer screen. When you click this, it opens and you can immediately see the ranking of the seller. This small tab opens right below the bottom, you can examine the price changes, you can add the product to your favorite list and other products similar to the product appears in the section (the image taken in the red oval line). Thus, in detail, you see the details of products and alternative products without spending much effort. One of the best benefits of the plug-in is: Like "Fifty percent discount! or Sale! ", it is easy to understand, whether discount announcements are really true or not, as is the case with advertised campaigns.